I made a mistake, but why should I be defined by it? I made a mistake but why should your perception of me change? I made a mistake but why should I have to keep paying for it for the rest of my life? I made a mistake, SO WHAT? You made a mistake so? You dated the wrong guy so what? You have a child out of wedlock so? Don’t let your past define you. One of the best things in life is realizing we’ve fallen and then getting up not staying there. Forgive yourself, wise up and move on. It’s as simple as that. You see, I’m a perfectionist and I used to be very hard on myself. I use to beat myself up whenever I fell short of standards I gave myself. But with experiences and learning comes growth. 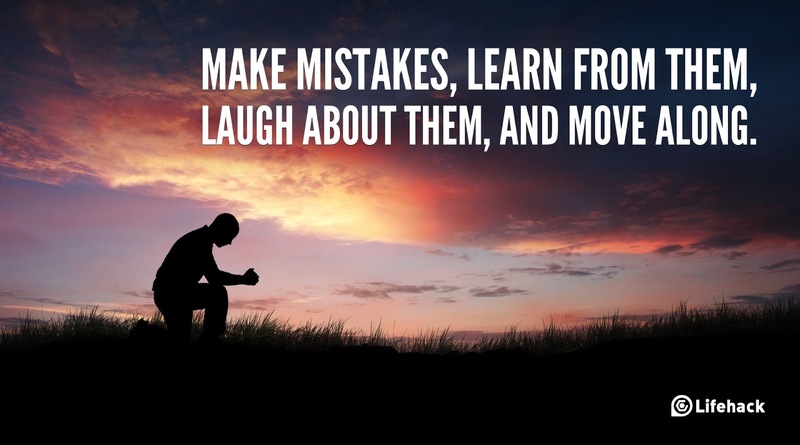 I’ve realized that making mistakes is all part of a successful life (ie as long as you realize and get up). I’ve realized that making a mistake shows you a better and a different way of doing things, that means when next you do that thing you do it better, with more care and more wisdom. The truth is, if you find it difficult to forgive yourself or get past your mistake, then it shows it’ll be difficult for you to forgive others, let go of pain and trust people. Your past should not define who you’re. It’s important to note that negative energy must be disallowed. Don’t hang around people who continually remind you of your past, people who blatantly disrespects you cos they used to know you from back when, people who’ll disregard your achievements cos as far as they’re concerned, you can never amount to anything, people who will tell you “don’t bring your spirituality here, cos I used to know you”. Associate with people who encourage and motivate you to be your best. Has someone you know made a mistake? Don’t try to be a judge, encourage the person, help in any way you can, he/she is already down don’t try to bring them down any further and do to the person what you’d appreciate someone doing to you. I’d leave you with this quote. “A life spent making mistakes is not only more honorable, but more useful than a life spent doing nothing” George Bernard Shaw.